Physique Tan was created specifically for the body building industry to deliver the perfect tan on stage. 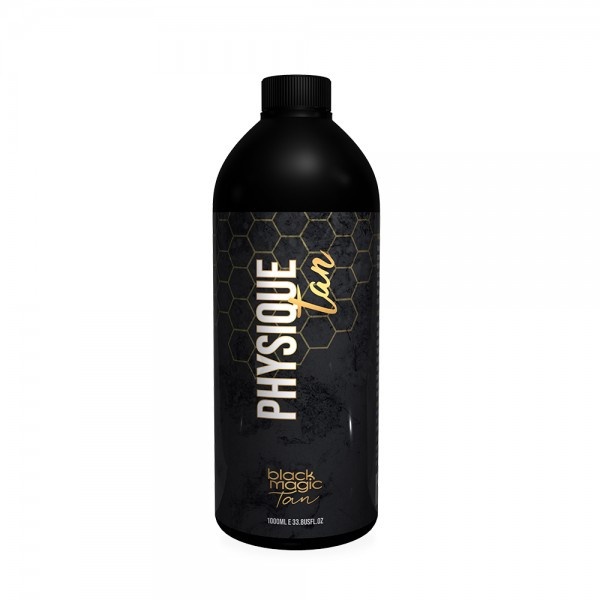 Physique Tan is designed to deliver competitors a lustrous, deep, very dark tan, that enhances muscle definition and body contours for the ultimate presentation on stage. Physique Tan keeps developing over 8 hours and will last between 5 – 7 days. Physique Tan is designed to be sprayed on using a Black Magic HVLP Tanning Machine. Apply 1-2 coats of Physique Tan, dry well between coats. For best results do not rinse. Apply additional coats, dry well between coats then apply Muscle Lock.